The best rain screen clip for exterior hardwood and softwood siding. The Climate-Shield® Rain Screen System™ is the best rain screen clip for exterior wood siding on the market today.The patented system design is manufactured in the U.S., in Portland, Oregon. The unique rain screen clip is the most cost effective system available for installing wood siding in Ipe, Cumaru, FSC Machiche, FSC Santa Maria, Douglas Fir, Western Red Cedar / WRC, and any other suitable species of hardwood or softwood siding material. 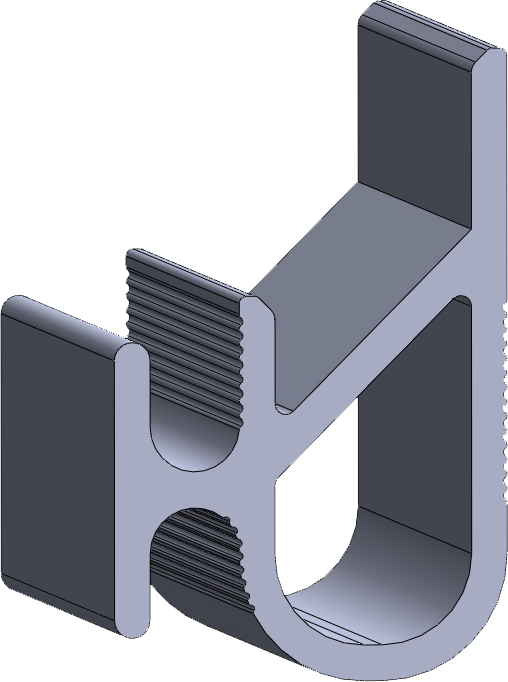 The rainscreen clips, starter rail and other genuine Climate-Shield components are made from extruded marine grade aluminum and the rainscreen system includes stainless steel screws for the ultimate in strength, durability and long life. 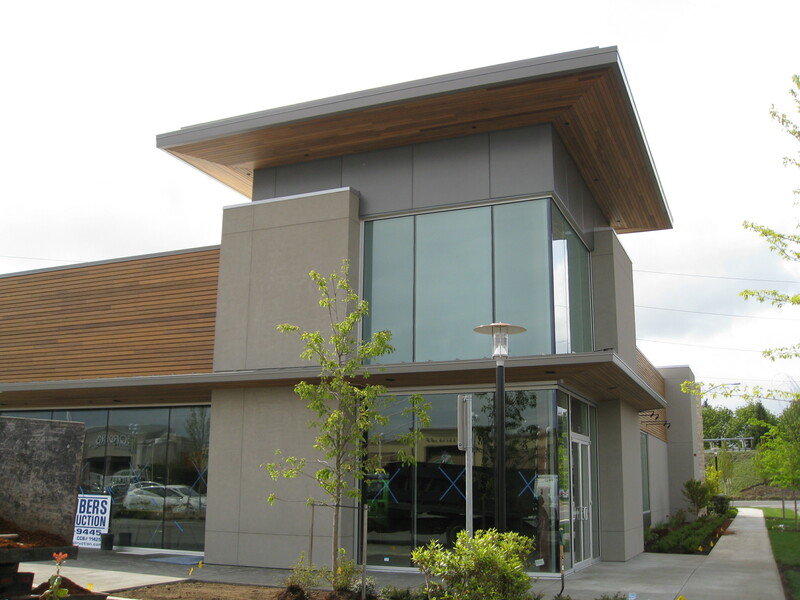 The Climate-Shield® Rainscreen System is designed to provide your building or home with a superior siding envelope to protect and shelter you from whatever type of weather attacks. The heritage of the system, commonly called a rain screen system or rainscreen system, dates back to the Vikings of Scandinavia and the late 12th Century. 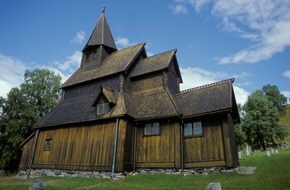 Barns and stave churches still survive today and the quality of the wood and the design of the rainscreen system are the reason. Today many designers and builders strive to create the “100 year house”, by learning from our past we can certainly meet and exceed that goal. We have designed the Climate-Shield Rainscreen Wood Siding System as an important tool for 21st century builders to create and build sustainable and living structures that can stand for centuries. The unique rainscreen system allows the design team to use either softwood or hardwood. The material selected can be installed in the normal horizontal fashion, but now you are free to install on the vertical or diagonal and still have all the efficiencies of a rain screen system. And you can use a conventional corner treatment, or create unique designs with stunning contrast of color or shape. The corner system also provides amazing protection for the wood right where it needs it. Let us show you the possibilities. There are rain screen siding products on the market but none like the Climate Shield Rain Screen System. Climate Shield allows Architects, builders and owners the flexibility to install rain screen siding horizontally, vertically or even diagonally without having to worry about how to layer furring strips or creating complicated designs for horizontal furring strips. There is no need to worry about water being trapped behind traditional furring strips because the clip is the furring strip. In addition the cost of the furring strips and the cost to install them is eliminated from the building budget. The revolutionary extruded Aluminum corner system provides the architect with limitless options to use different textures, colors, styles - you can even create your very own signature corner piece.